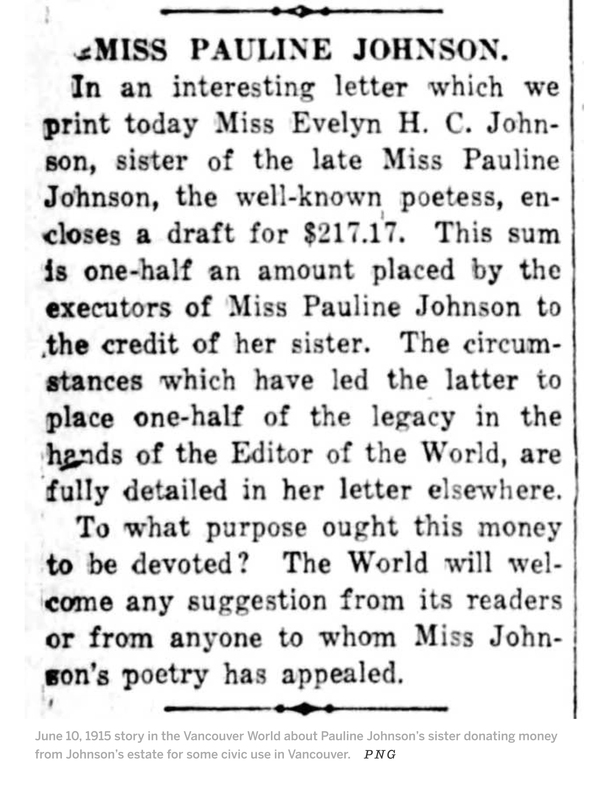 Many of you will be thinking at this point: but E. Pauline Johnson died in 1913… And of course you would be right. But she was involved in the First World War in an unexpected (and to me, bizarre) way. 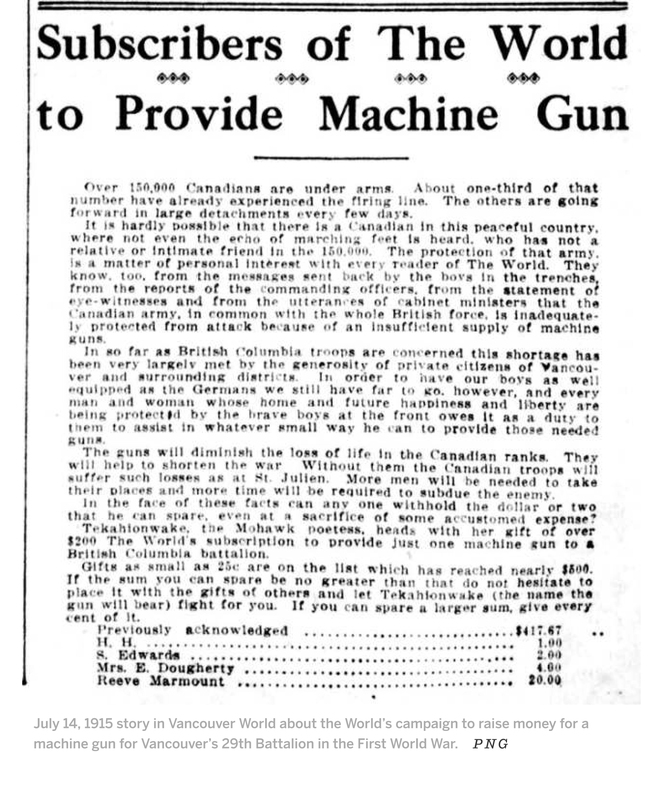 I awoke this morning to a text message from my friend and aficionado of Canadian literature of the First World War, James Calhoun, who had stumbled upon the Vancouver Sun article I have included here. There is no need for me to say more: the article gives the history of the gun—its creation and its discovery—in full detail. I wish I had been aware at the time, and posted immediately this amazing end to a research question that has been plaguing early Canadian literature specialists and Johnson fans for a long, long while. But even now, it is still news to many. 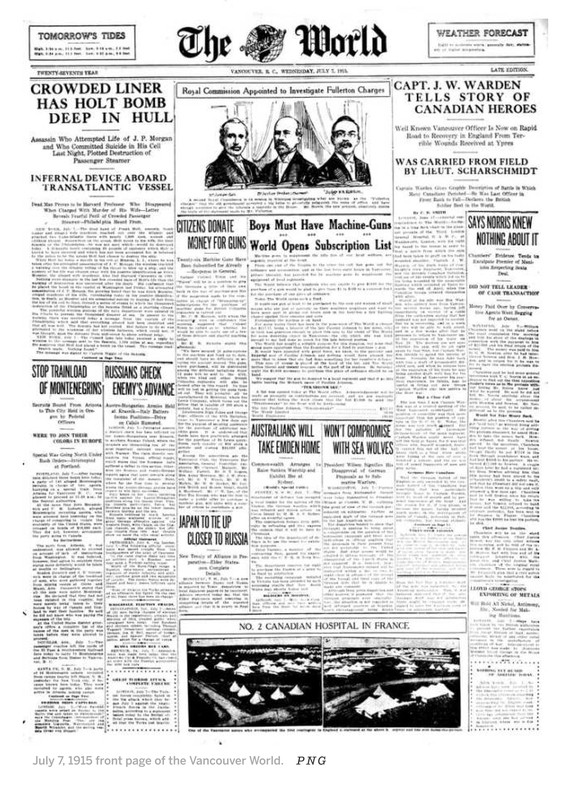 John Mackie, “This Week in History: 1915-2016 — A Lost Relic from the First World War Turns Up,” Vancouver Sun online, 18 November 2016.